I think these will sell well….. It occurs to me that my one man rant against the tobacco prohibitionists (and let’s be real here, that’s just what they are) may get me into hot water some day. People who speak up for freedom usually do end that way. And make no mistake: this isn’t just about my right to smoke a pipe or cigar. It’s about a group of fanatics who have hijacked a legitimate health concern and turned it into a way to expand Nanny Government. The anti-tobacco movement has become nothing more than a group of disingenuous fanatics whose real goal is nothing short of the total prohibition of tobacco. Their moral standing is now no higher than that of the cigarette companies. Anyone who doubts this should click here, here, and ESPECIALLY here. So it’s only a matter of time until they come after me. I honestly believe that at some time a little old fashioned civil disobedience is going to be needed here. So when the time comes, I thought it might be helpful to have a few items to sell so I can raise money to make bail. Or rather, so that my friends can raise money for me, since I’ll be in jail. So I thought a t-shirt would be a nice touch. 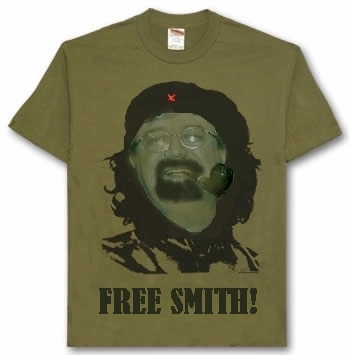 Revolutionaries look cool on a t-shirt. So scroll down and let me know what you think of mine. I think it will be a collector’s item one day. I’ll get right to the point here: the U. S. Senate is contemplating a bill which would raise the tax on premium cigars from 5 cents per cigar to a whopping $10 per cigar! That is an increase of 20,000%!! Taxes on other forms of tobacco would be similarly affected. Once again the federal government is exploiting the tobacco industry’s status as the lawmakers’ favorite whipping boy. 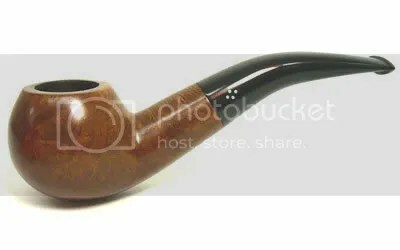 I would urge anyone who enjoys fine cigars or pipe tobacco (and believe me, there are still millions of us around) to contact their Senators and Congressmen. You can find your Congressman by clicking on this link. You can find your Senators here. You can read an article about this here. And you can read an excellent post on the ramifications of this, written by one of WordPress’s finest bloggers, here. Tobacco taxes have been our lawmaker’s favorite new toy for some years now, because the dilemma if you’re a politician is always how to raise taxes without jeopardizing your political future. Raise the tax on gasoline or alcohol, and you face banishment to the Dreaded Private Sector. The very thought sends shivers down your spine. Gee, Max, Americans are SO relieved to hear that you’re not standing against the children. After all, anybody who opposes these tax increases must be against the children, right? And so they just keep using this risk free means of raising taxes, over and over and over again. Harry Potter himself could not contrive anything more magical for the tax hungry politician. But everyone seems to forget two things. First, it makes no sense to fund social welfare programs by taxing an industry out of existence, particularly when that industry has historically produced trillions in tax revenues. Second, if the tobacco industry is taxed out of existence, the government will have to replace that lost tax revenue somehow. And if they can take my pipe and cigar away from me today, they can take your little pleasure away from you tomorrow.